A good dorm room rug is more than just an accessory for college. It’s the dorm item that gives your college living space a boost of comfort (as any rug beats cold dorm floor!) and also provides a great addition your dorm decor. Decorating your college dorm is all about the details. 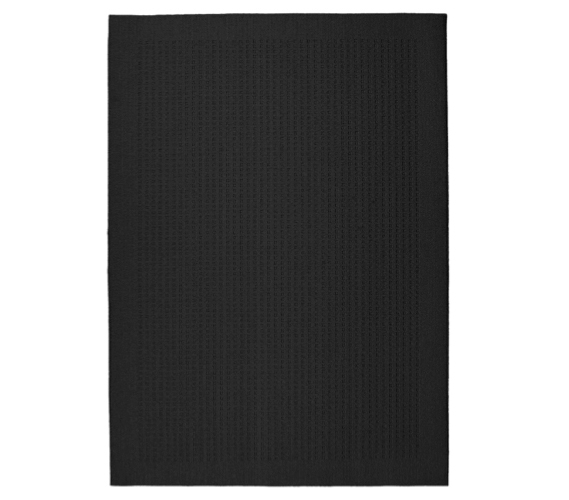 If you’ve already tossed up a couple posters or other dorm wall decorations, your college decor just isn’t complete until you’ve added a rug for college like this Basic Black College Rug. That floor just provides too much open and empty dorm decoration space to go unused! No matter the size of your college rug, you’ll find plenty of use for it, whether it’s near your bedside or is the centerpiece in your dorm floor. A simple vacuuming really helps make a rug look great after it’s been used, meaning this is one item for college that you can use throughout your college career. It’ll be more than just a dorm supply; it’ll be a college supply. Rugs, therefore are smart college supplies that can be useful throughout your college career. That makes them an even better buy for college!